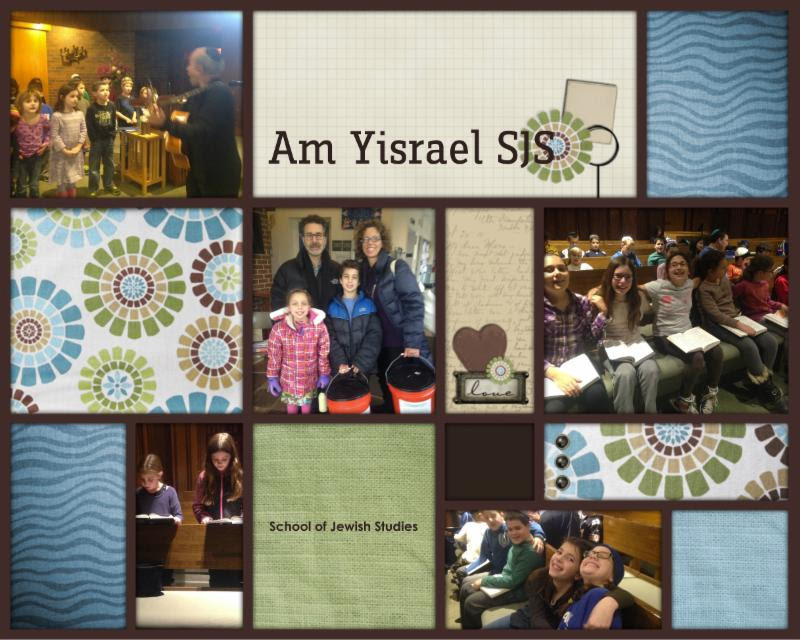 We have a very exciting weekend at Am Yisrael! 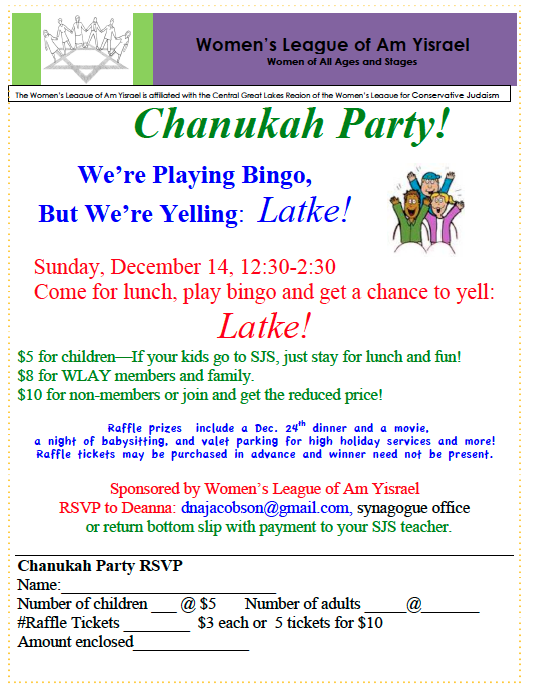 SMFP, the new member’s lunch, the Chugim Presentation, the celebration of the Judy Grossbard Memorial Jewish Reading Challenge and a Chanukah party sponsored by the Women’s League of Am Yisrael (WLAY)! We look forward to celebrating all of this with you and your families. For a description of SMFP programming by age/grade level, please go to https://amyisrael.org/content/shabbat-morning-family-programming. All Gan through Zayin families, we look forward to seeing you at the Semi-Annual Chugim Presentation: Sun. Dec. 14th: 11:15 a.m.-12:15 p.m. Prozder/Pardes students, the Rabbi looks forward to her Brunch with you on Sunday at 10:00 a.m. sharp in Room 9. Shabbat Shalom! All Gan through Zayin families, we look forward to seeing you at the Semi-Annual Chugim Presentation: Sun. Dec. 14th: 11:15 a.m.-12:15 p.m. Gimel Families, we look forward to seeing you at the Family Education/Brunch with the Rabbi: Sun. Dec. 7th: 9:50 a.m.-11:25 a.m.
Mazal Tov to Justin Youderian and his entire family as he will be called to the Torah tomorrow as a Bar Mitzvah. For one of Justin’s Bar Mitzvah projects he is collecting gently used sports equipment for The Shed. The Shed donates this equipment to kids who cannot afford to pay for it. Please click here to see a list of the most requested items. We will have a bin in the SJS lobby to collect these items for the next several weeks to support Justin in this worthy endeavor. Shabbat Shalom!